Business Management and Entrepreneurship offers you the skills needed to develop new ideas, giving you everything needed to start your own successful business. Business Management and Entrepreneurship is also available as an undergraduate degree with a foundation year. Why study Business Management and Entrepreneurship? New businesses are the lifeblood of most developed or developing economies. They’re needed by established companies, whether as a supplier offering exciting new inputs or as new ventures within the company. Governments are very keen to stimulate the creation of new businesses and support them, as they are often key to developing regions or creating jobs in areas with high unemployment. Perhaps most importantly, you might want to start a business because you have a passion for creating something new. To start and make a success out of your own business it’s not enough just to have a great idea, you need to manage it well. If this is your ambition, you’ll need to learn a wide range of entrepreneurial concepts and skills. Our Business Management and Entrepreneurship course will prepare you to become innovative, teach you how to manage new ideas and how to apply learning to creating a new business. We aim to give you practical experience through our extensive placement and mentoring programmes, which will equip you with hands-on skills and guidance from industry professionals. Business Management and Entrepreneurship was designed by an experienced team of academics, many of whom have experience working with entrepreneurs in a variety of sectors. The degree takes into account the skills and attitudes required by entrepreneurs as they prepare to launch their businesses. There are numerous opportunities to undertake a work placement as part of your degree, giving you the chance to combine academic theory with a work environment. Our Business Management and Entrepreneurship programme combines coverage of the key business areas from finance and marketing, through to strategy and human resources, with the opportunity to study more specialist subject areas, including business law, management consultancy and digital business. St Mary’s is a beautiful campus university in London, with a friendly and professional atmosphere. Our West London location puts us near large companies, some of which supply, run and use the nearby Heathrow Airport. We are also surrounded by successful small businesses and business incubators where small businesses can be nurtured. 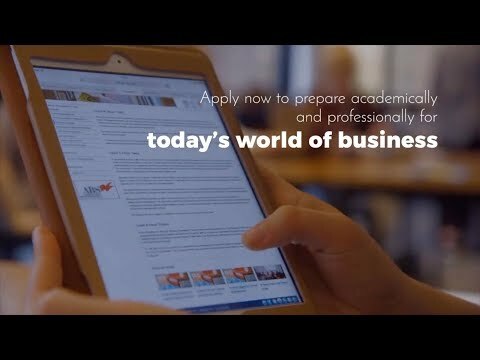 The undergraduate degree with foundation year programme offers applicants without traditional qualifications or grades an alternative route to studying Business Management and Entrepreneurship. The course will teach you what makes a start-up business tick, including the financial and economic aspects of new business, how to manage and motivate people and how to build an organisation for success. Successful managers develop growth in a constructive manner; it requires an understanding of the changes taking place in the business world, society, consumer markets, financial issues, organisational strategy, global economies and digital technology. You will learn how all these factors affect start-up businesses and how to identify opportunities for new businesses. You can get direct entrepreneurial experience during one of several work placements offered throughout the degree. You will also manage your own projects for individual assessments. It is possible to gain professional accreditations and certificate exemptions by successfully completing selected core and optional Business Management and Entrepreneurship modules. You will develop a wide range of employment skills in communication, presentation, analysis, quantification, research techniques, teamwork and working to deadlines. This is designed to enhance your employability portfolio and your ability to develop enterprise. Beyond the setting up of your own business, career opportunities for graduates include banking, insurance, law and business consultancy, as well as a wide variety of specialist and generalist management posts in leisure and sport, marketing and human resources. The Careers Service has more information on careers and postgraduate study options available to Business Management and Entrepreneurship students who have started their studies at St Mary’s. As well as highly interactive lectures and presentations from leading researchers and top management professionals and practitioners, you will attend seminars that will deepen your understanding of the skills needed to be an effective entrepreneur. Individual tutorials are also available and provide support on a one-to-one basis. These methods are supplemented by an online virtual learning environment where you can find additional learning materials. Throughout the degree, you will be assessed in a variety of ways that test your knowledge, understanding and skills development. The programme uses a broad range of assessments including business reports, essays, practical exercises, presentations, case studies, examinations, assessed blogs, seminar and simulation exercises as well as traditional exam-based assessments and coursework. Wherever possible, you will be assessed using digital methods and online feedback.